In the dark days BG (before Google) there lived a man who, armed with only a library of reference books and an autographed photo of Morey Amsterdam, made it his mission to save marriages, preserve friendships and settle barroom disputes about TV shows and movies. He did this by writing snarky answers to trivial questions in the newspaper, and it was good. 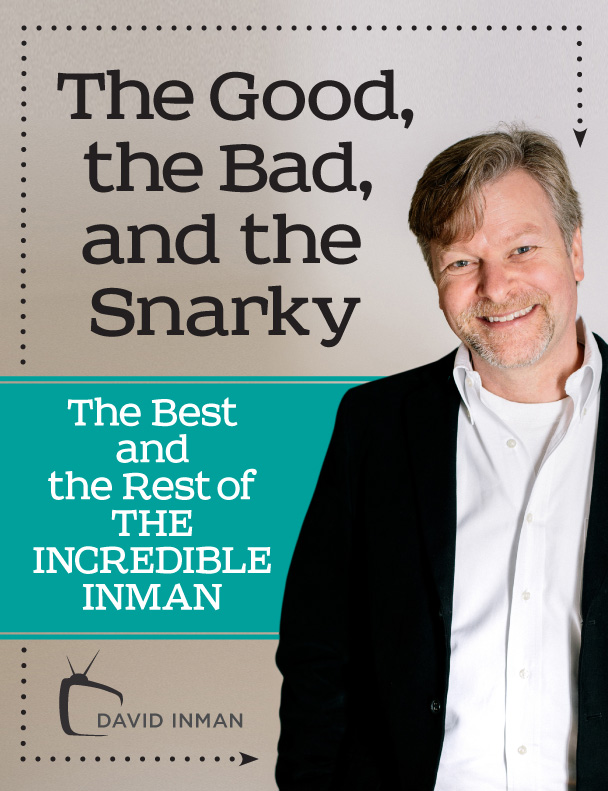 Now, after 32 years in the making, comes The Good, the Bad and the Snarky: The Best and the Rest of the Incredible Inman, a collection of David "Incredible" Inman's best stuff. It is yours for a pittance, and contains priceless information about the meaning of life, or at least about your favorite movies and TV shows. David Inman grew up watching too much TV — and, for better or worse, remembering most of it. For over 30 years, he put this expertise to use as "The Incredible Inman," writing a Q&A column for The Courier-Journal that was also nationally syndicated. 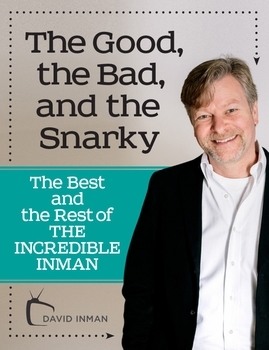 The Good, the Bad and the Snarky: The Best and Rest of the Incredible Inman is a compilation of his most memorable questions about TV shows, movies and related weirdness. Inman still answers questions at his website, www.incredibleinman.com, and can be reached at incredibleinman@yahoo.com.